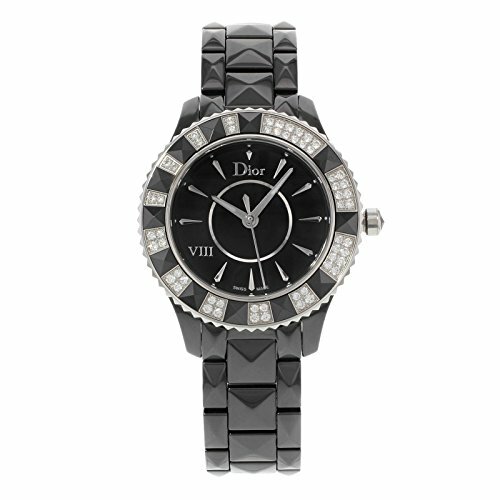 Displaying cutting-edge style and sophistication, the Christian Dior Women"s Christal Diamond Watch is supremely decadent. 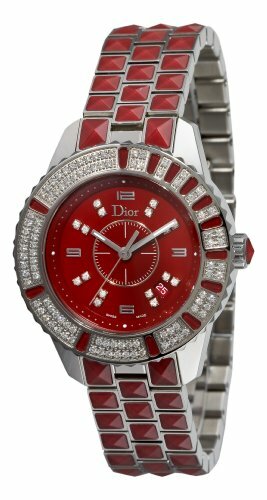 The solid case and unidirectional bezel are constructed of durable stainless steel, and the bezel has a red background that is almost completely covered by an array of glittering diamonds. The gorgeous three-column link bracelet is also stainless steel with every link set with a red sapphire. The band closes securely by way of a deployment clasp with a push button. Protected by an antireflective sapphire window, the lovely red dial is full of good looks, with silver-toned hands pointing to diamond indices and Arabic numerals. Also on the face is a subtle date display in between the four and five o"clock positions. 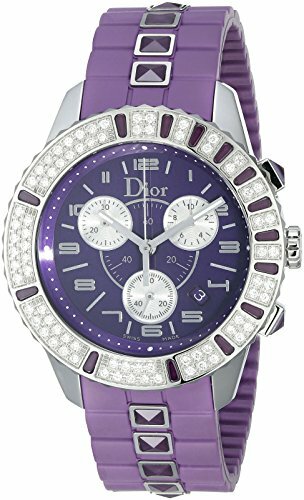 The watch uses quartz movement to keep precise time, and the whole beautiful timepiece is water resistant to a depth of 165 feet (50 meters).